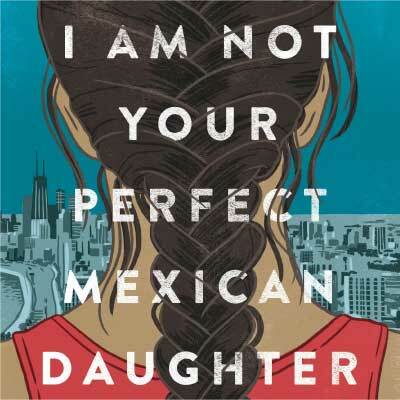 Our October title is the young adult novel, I Am Not Your Perfect Mexican Daughter, by Erika L. Sánchez. The Absolutely True Diary of a Part-Time Indian meets Jane the Virgin in this poignant but often laugh-out-loud funny contemporary YA about losing a sister and finding yourself amid the pressures, expectations, and stereotypes of growing up in a Mexican-American home. Perfect Mexican daughters do not go away to college. And they do not move out of their parents’ house after high school graduation. Perfect Mexican daughters never abandon their family. But Julia is not your perfect Mexican daughter. That was Olga’s role. Then a tragic accident on the busiest street in Chicago leaves Olga dead and Julia left behind to reassemble the shattered pieces of her family. And no one seems to acknowledge that Julia is broken, too. Instead, her mother seems to channel her grief into pointing out every possible way Julia has failed. But it’s not long before Julia discovers that Olga might not have been as perfect as everyone thought. With the help of her best friend Lorena, and her first love, first everything boyfriend Connor, Julia is determined to find out. Was Olga really what she seemed? Or was there more to her sister’s story? And either way, how can Julia even attempt to live up to a seemingly impossible ideal?